For two days and two nights, I stayed up thinking of songs titles and artists from my teenage years, my father’s favorite music, my mother’s favorite music and favorite movie soundtracks. I downloaded, downloaded, and downloaded. Until this day, probably everyone with an iPhone has dozens, if not hundreds, of songs that originally came from Napster, especially when Steve Jobs made a rare public announcement on June 6, 2011 – while fighting pancreatic cancer – that you could upload songs into a newly-built iCloud without penalty or (worse case) fear of prosecution. 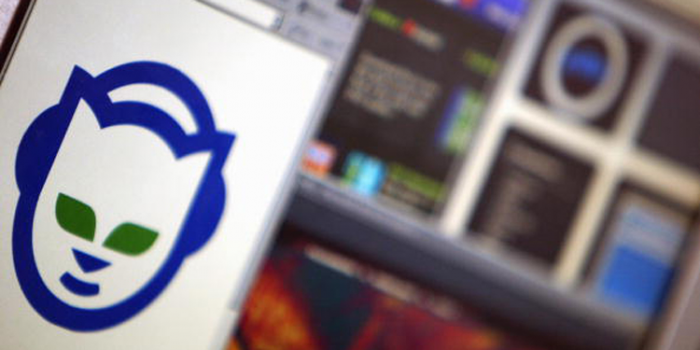 Napster unknowingly created the most lucrative market in entertainment history. It was the data around people listening to music. I remember buying a vinyl or cassette album because one song on the radio made you want to buy it. And then being incredibly disappointed after buying the album when all the songs sucked except for that one song that got radio air play. Nowadays with Spotify and iTunes, it’s rare to buy an album that nearly every song is not your favorite. The analytical pattern of song hits has been unraveled, and that’s why Spotify and iTunes’ Genius know how to play that artist or song you wouldn’t have chosen otherwise, but that scratches the musical itch you didn’t know you had. Years after Napster, for television and films, there is Popcorn Time, Vodlocker and other media streaming apps to watch media content that is otherwise restricted. However, Netflix debuted in Hong Kong and Singapore last December, and other Asian countries are soon to follow. And what’s happened, the next countries such as Taiwan, Indonesia and Philippines are in a mad scramble to find ways to decipher quickly the big data that Netflix servers and services will be generating. Local content providers are mirroring the same technologies to predict the right content for the right audiences to connect advertisers to consumers. What Netflix did was more than satisfy our insatiable urge for digital content; it realized the money that Nielsen Ratings couldn’t provide: matchmaking content to specific niche demographics. It turned the media into a data mirror. Not only are we peeking into fictional persons’ lives and watching them play out, the content provider are peering back into our lives and deciding how to write the story to keep you hooked. Television has become a living, breathing success story for big data and data science. Many people say that we are in the second Golden Age of Television. Decades ago, if you were a famous Oscar-winning actor, to be on television show meant your acting career was in freefall. Now, it’s what Oscar-winning actors want – their own Netflix, Amazon Prime, Showtime or HBO show. Even the magic number for the perfect number of seasons downgraded from eight seasons (such as Seinfeld, Friends and M.A.S.H.) to seven seasons (such as Breaking Bad, Mad Men and 30 Rock) because they found statistically it offered more money for syndication at less production cost. So I argue that perhaps television is not necessarily better written or better acted now than it was in decades past; maybe it’s just more personalized based on your viewing patterns so there is a stronger affinity to binge watch than we once had. Some could even argue that in 2016, it won’t be data scientists that will be pushing big data to mainstream. It will be Kevin Spacey and Robin Wright in “House of Cards”. Now the issue is when Netflix and Amazon Prime begin pushing content across Asia – especially when “House of Cards” is one of China’s favorite television programs. It isn’t that they are trying to thwart intellectual property thieves or pirated programs. The real goal is quantifying and segmenting new demographics and viewing habits in uncharted regions. And it all began for me when a teenage girl at my dry cleaners told me I had 48 hours to download my favorite hip hop jams. Now let me get back to watching “Orange is the New Black” – I am nearly finished with season three.